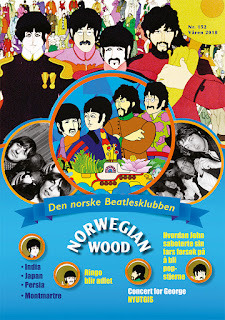 Since we first reported about the new edition of the "Yellow Submarine" movie, the story has gone global. One of the sentences in Apple's press release that has been repeated the most in the media is this one: "Due to the delicate nature of the hand-drawn original artwork, no automated software was used in the digital clean-up of the film’s restored photochemical elements. This was all done by hand, frame by frame". We think this is old news, and applies to the 1999 release. The "hand-cleaning" process was done already before MGM released it in 1999, so this is probably just a new transfer in higher definition. With any luck, they may have found a better copy of the 1968 documentary about the film, "A Mod Odyssey" for the bonus material this time. Apart from that, it's just repackaging - but it was necessary for Apple to re-release "Yellow Submarine", because the 1999 MGM DVD is not available any more in the USA, and the rights to release the film has reverted back to Apple. They should have included the 1999 promo film of "Hey Bulldog", though. When the Beatles recorded "Hey Bulldog" back in 1968, they were being filmed and the film footage was used to create a promotional video for their latest single at that time, "Lady Madonna". Some bright head found that the footage could be recompiled to reflect the song that they actually recorded, and in their PR campaign in 1999, the then press officer at Apple, Geoff Baker, came close to state that "Hey Bulldog" was actually a new discovery. It was really just an old film that finally had been married to the correct song. The 1999 promo film for "Hey Bulldog"
In 1999 it was used to promote the new edition of "Yellow Submarine" and broadcast by several TV stations, but it was not included as a bonus clip of the video release. Possibly because it was released by MGM and not by Apple, but this time around it would have been nice of them to include it. One other thing I'm concerned about, is the re-release of the 1999 accompanying album to the film, "Yellow Submarine Songtrack" in remastered form. 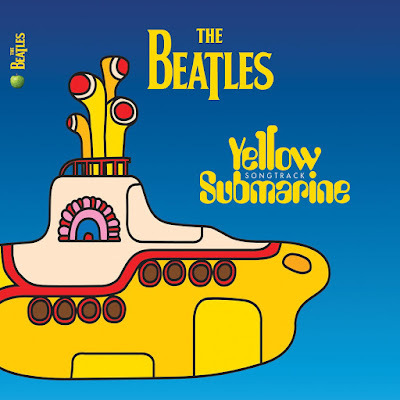 Upon it's original release, "Yellow Submarine Songtrack" was praised by many fans, not because it was another compilation of the songs from the film, but because the songs had been dramatically remixed. The 1999 remix gave the songs a more modern stereo picture because instruments and vocals were rearranged and made them sound fresh. The Beatles sounded up to date, and fans thought that this method of thinking was going to be applied for the rest of The Beatles' catalogue of recorded material. Not so. 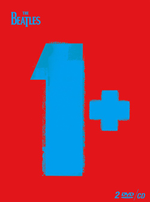 The year after, The Beatles released their greatest hits compilation "1", and used those same old sixties stereo images. 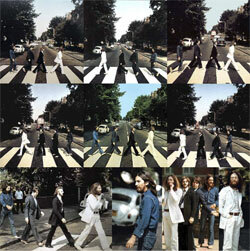 Only once in the aftermath has the Beatles songs been remixed again, and that was for the mash-up project "Love". 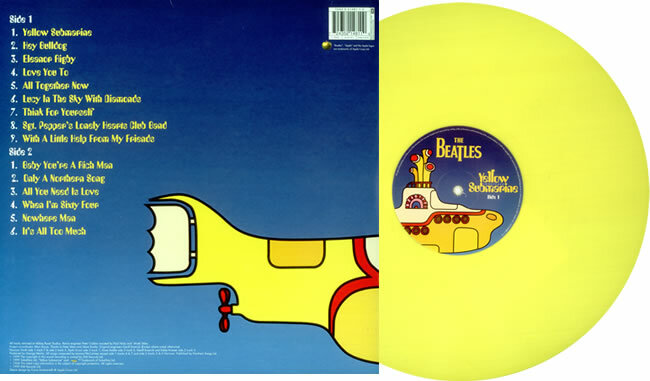 Back in 1999, it was released both on CD and vinyl, and also came as a yellow coloured vinyl LP. Yellow Submarine [DVD, Blu-ray] contains the film lasting 89 minutes in the original format 1:66-1, completely restored in 4K. Subtitles: English, French, German, Spanish, Italian, Portuguese, Dutch, Swedish, Norwegian, Danish, Polish, Finnish, Japanese. The 1999 DVD has "Hey Bulldog" restored. I don't expect this will be remastered, but it will be made available on iTunes — and, I suspect, so will the film (since the book is a giveaway at the moment). Yes, the cartoon "Hey Bulldog" was restored back into the film, but the promotional film "Hey Bulldog" was not included. Hey...just wondering as a follow-up whether anyone has examined the new reissue in light of this article? Was YSS reissued physically as a cd? Vinyl? And were there audio revisions ? Hi, I wanted to let customers know that the 2012 Yellow Submarine Songtrack has the same sound as the 1999 cd (same mastering/mixes). The only difference is the packaging. The 2012 cd is housed in a digipak case (like the 2009 stereo remasters) while the 1999 cd is in a jewel case. I love the mixes on this album. The guitars and other instruments on "Love You To" really stand-out now vs the original mix from Revolver. Plus, for the completists, "Only a Northern Song" is in true stereo. This is the only album that features "Only a Northern Song" in true stereo (1969 LP Stereo Version is fake stereo, Anthology 2's stereo version is from alternate takes, & the 2009 remaster on Yellow Sub album is true mono as no stereo version exists of the original mix). This digipak is a welcome addition to my stereo remasters black box. Check out the Wikipedia page for more information on the mixes. Thanks to Chris for the confirmation on YSS. I haven't been that bothered to track the 2012 releases of both the movie and songtrack as it seemed obvious that they were just re-re-releases. Again, wonder if the 'Mod Odyssey' did get a further cleanup but doubt it, as to all intents and purposes all that appears to have changed since 1999 is the packaging/carrier format. I note though that Apple's other opportunist release this year. 'Tomorrow Never Knows' took advantage (rightly and profitably, I think) of the 'paradigm shift' episode of 'Mad Men' where the track appeared, licensed by Apple and threw into its promotion the 'Hey Bulldog' video left over. While this was mish-mash remarketing, it bore the signature of Paul and his manager Scott Rodger who have moved, since leaving EMI, to an event-led type of product release at short notice. I think this even the case with the forthcoming Magical Mystery Tour reissue/upgrade as these things have been available on the product line at Apple for some years and it seems they are getting prompted for release, in MMT's case by someone at the BBC deciding that the MMT story would make an interesting doc. I also suspected that Paul wants to make the connection (as he indeed has last weekend) with the Africa Express thing which has a lineage in the Hard Day's Night/Bangor train events, the MMT 'tour' and Wings over Europe by double decker bus. Now...how can we cause 'Let It Be' to be released? It would seem that the musical just won't do the 'connection' trick. Magical Mystery Tour back on DVD? "Ram" deluxe in May or June? 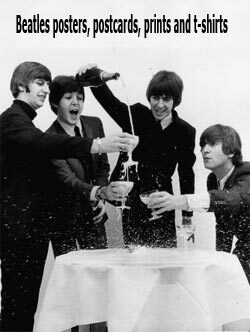 50th Anniversary of "Love Me Do" - what to do?